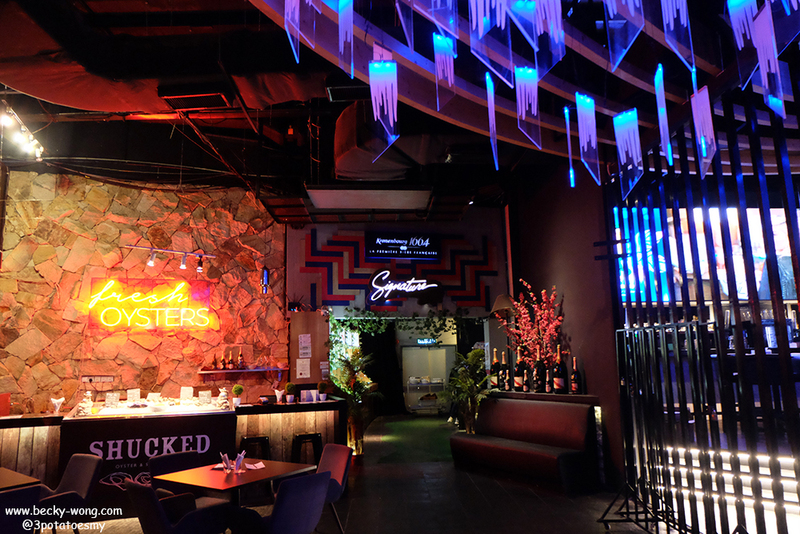 Brought to you by the same people behind The Hill, Signature is a premium gastro-lounge serving tantalizing Asian-International fusion cuisine. 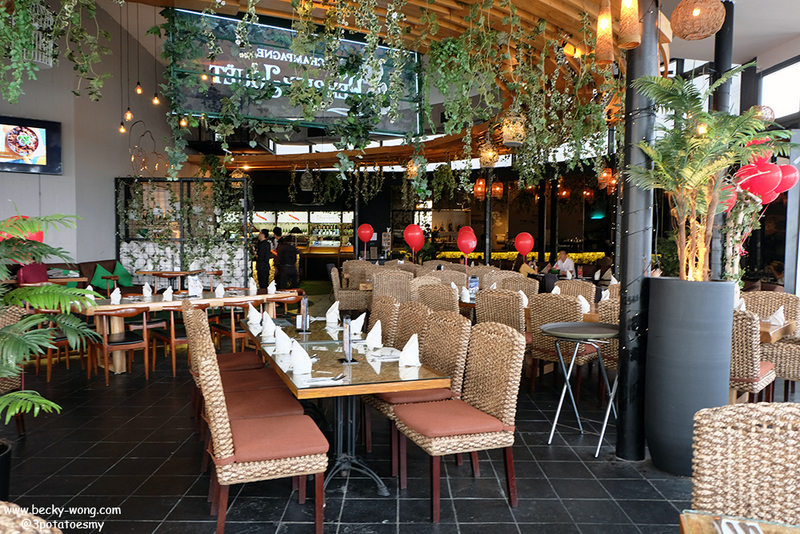 Located on the penthouse area of First Avenue, Signature has a contemporary settings (nice lighting too if you go before the sun sets) and give its diners a city view of Bandar Utama. 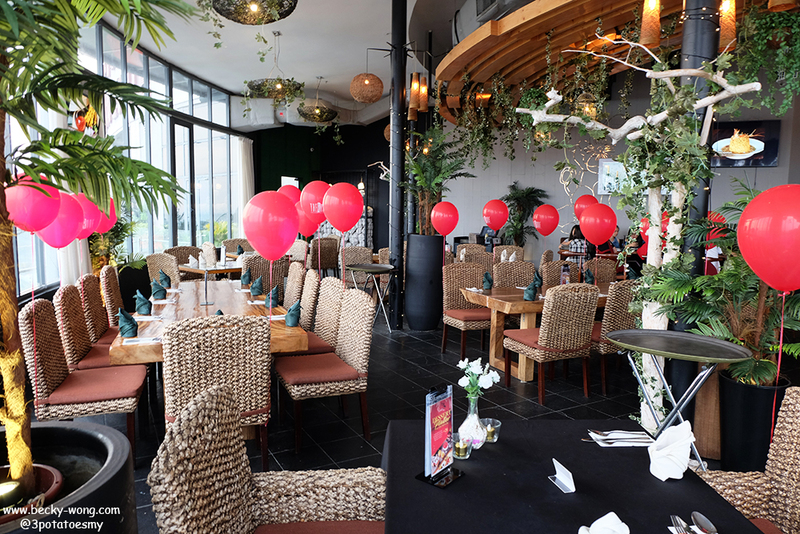 A nice place to enjoy an intimate meal with a view. Soup of the Day (RM 16). 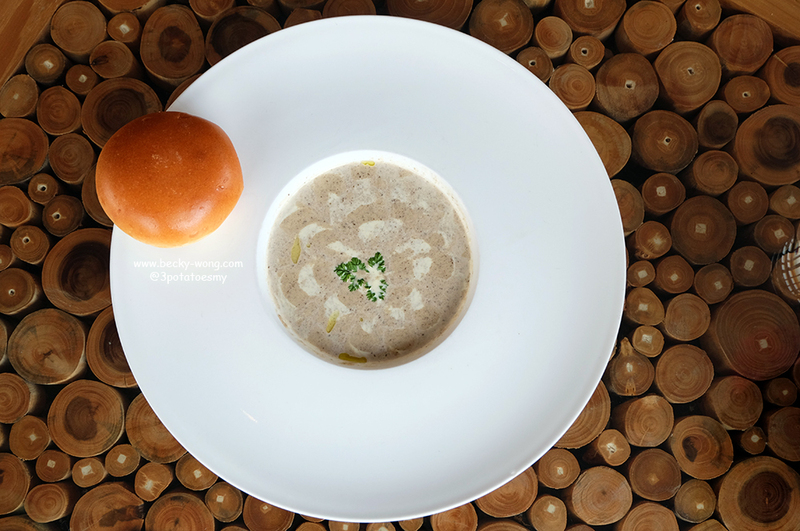 Our soup of the day was a bowl of earthy and creamy mushroom soup. Chilli Clams (RM 24). 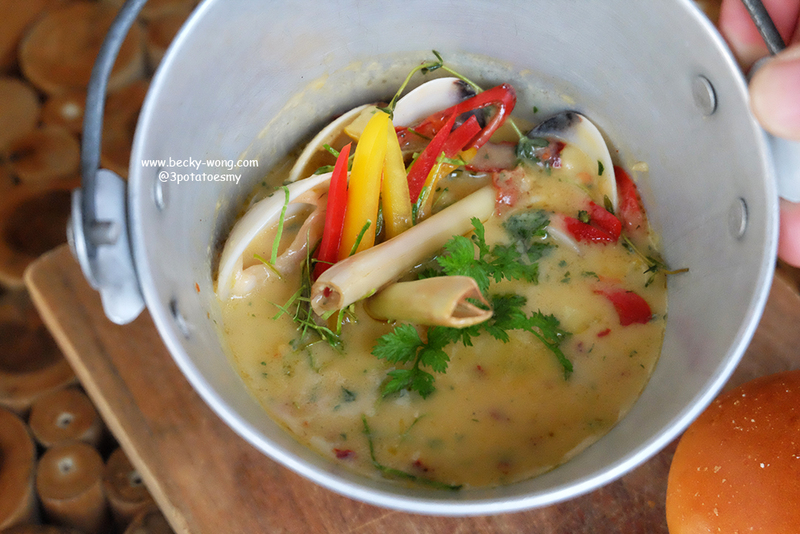 A pot of rich and creamy broth packed with umami flavours of the clams, and has a nice kick of spiciness. I love it so much and could have it all to myself. If you are looking for something to awaken your taste buds, the heat in the Chilli Clams would definitely do the trick, but just be careful with the chilli bits in it. Carbonara Flying Pasta (RM 38). The carbonara is rich and creamy, yet not overwhelmingly cheesy. 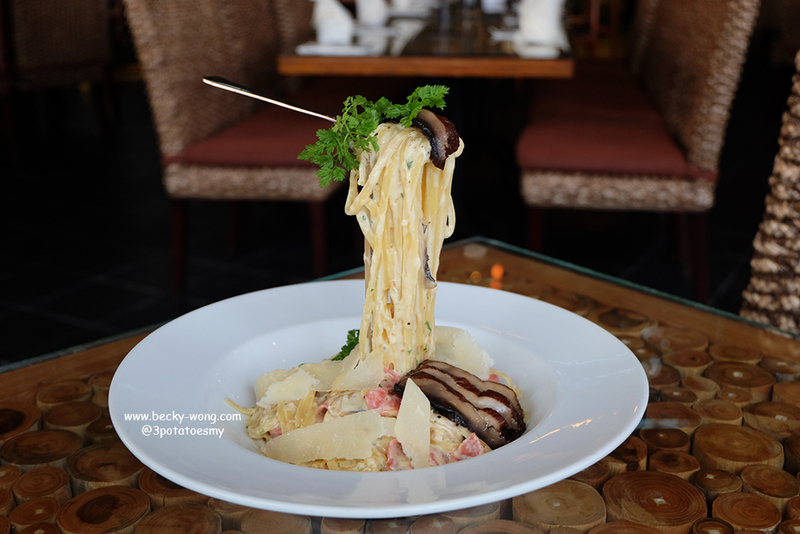 The pasta hits all the marks for being a good carbonara; and to make it even better, the "flying pasta" is definitely very Insta-worthy. Beef Bulgogi (RM 32). 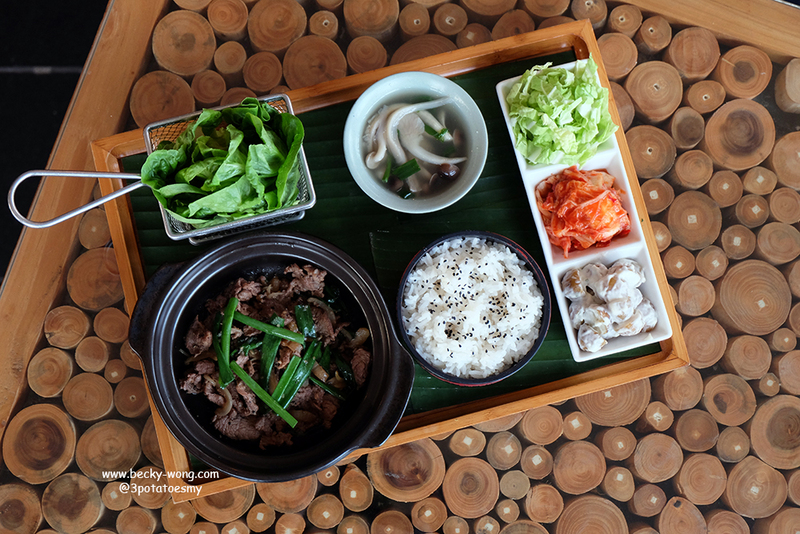 For an Aisan touch, the Bulgogi is a good choice. At first glance, we thought the beef looked dry but it turn out we were very wrong. The meat was nicely marinated and the mild sweet-savoury flavours were a nice break from the creamy carbonara we were having. 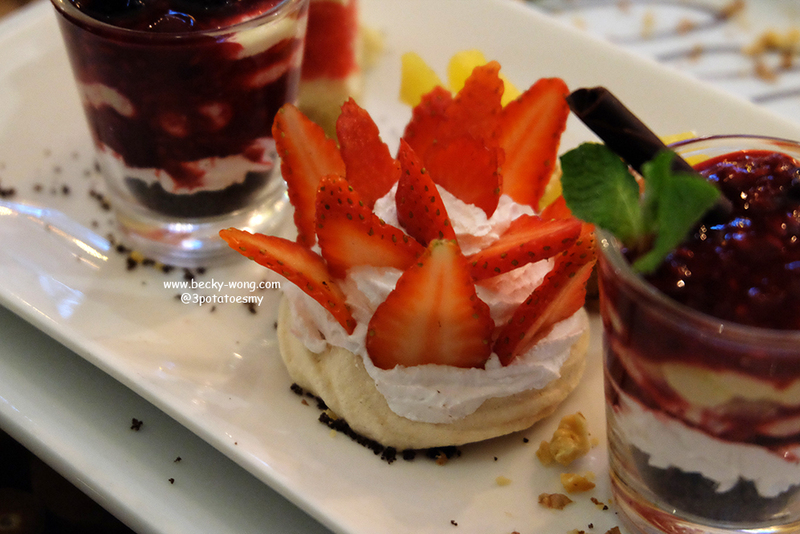 Dessert Platter (RM 28). 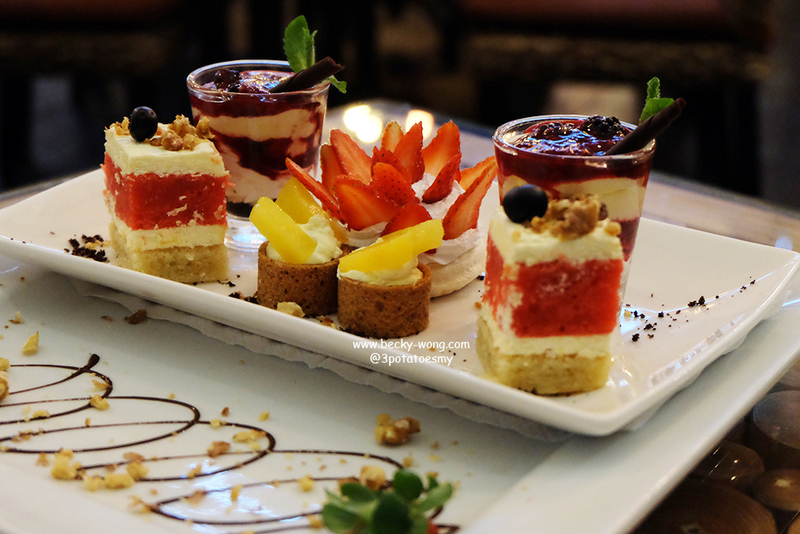 A meal is incomplete without dessert, and if you are not too sure what to have for dessert, why not have everything on a Dessert Platter? Personally I like my desserts small and dainty, and a dessert platter is just my kind of dessert. 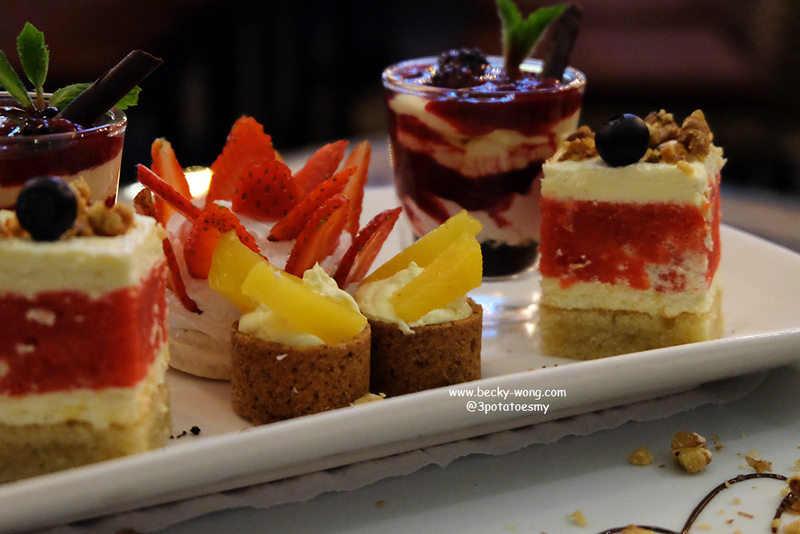 Consists of Lychee & Rose Cake, Peaches & Cream Tart, Strawberry Pavlova and Mix Berry Mouse. 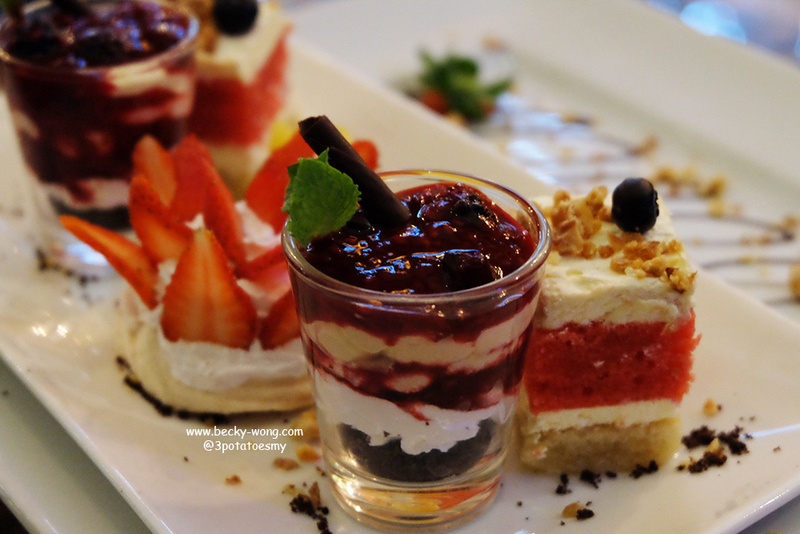 The Dessert Platter is just nice to be shared among 2 people. Apart from the tart, my personal favourite is the pavolva. The sweetness of the meringue and tangy flavours of the strawberries are perfect in cutting through the heavy meal. Watermelon Slush (RM 40). When it comes to The Hill, many would definitely remember their signature drink - Watermelon Slush. 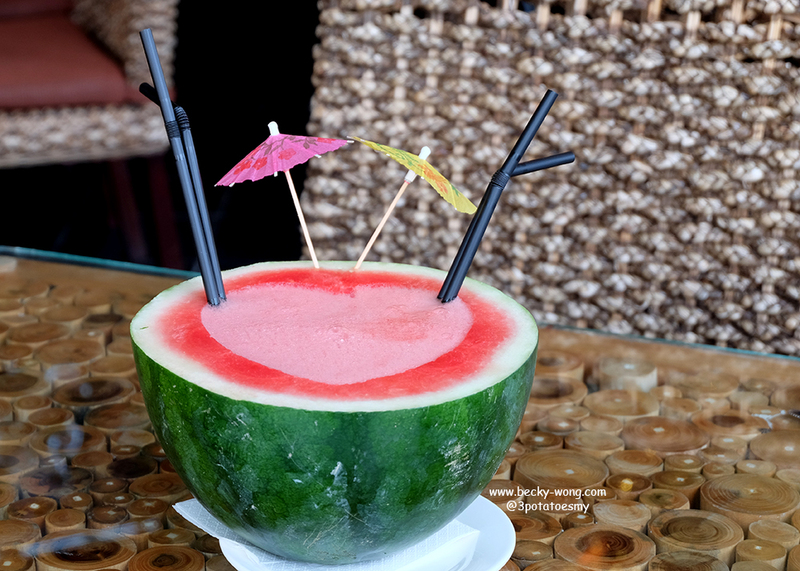 A mixture of Vodka, Midori, Lychee Liqueur and watermelon, the Watermelon Slush is fun and refreshing to have at the same time. Coco's Nutz (RM 28). A combination of Malibu, Rum, Banana Liqueur and Coconut Cream, one sip of Coco's Nutz will transport you to a tropical island. 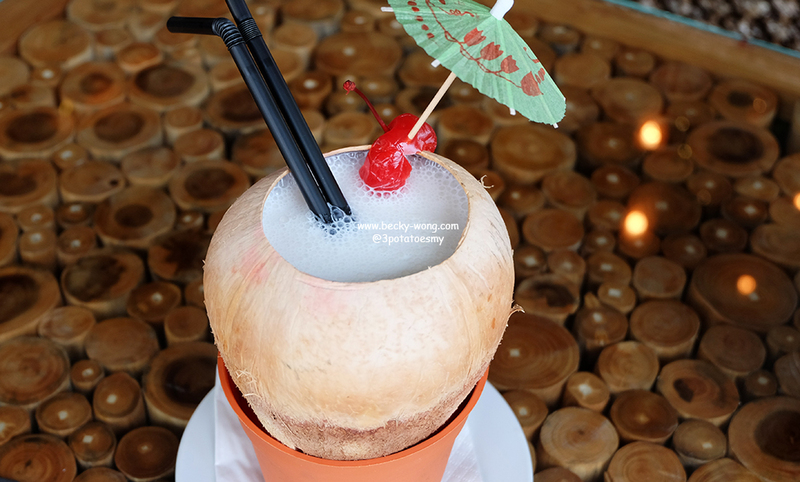 I was a bit skeptical about this drink, but the creaminess, nutty flavours and sweetness of the coconut was surprisingly good. 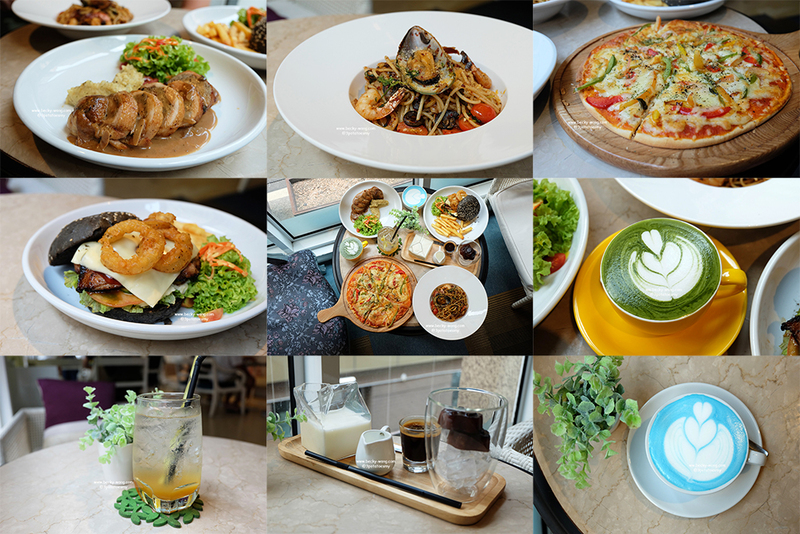 So far the dishes we had at Signature were pretty good and satisfying, and I would definitely return for the Chilli Clams as well as their signature cocktails too! 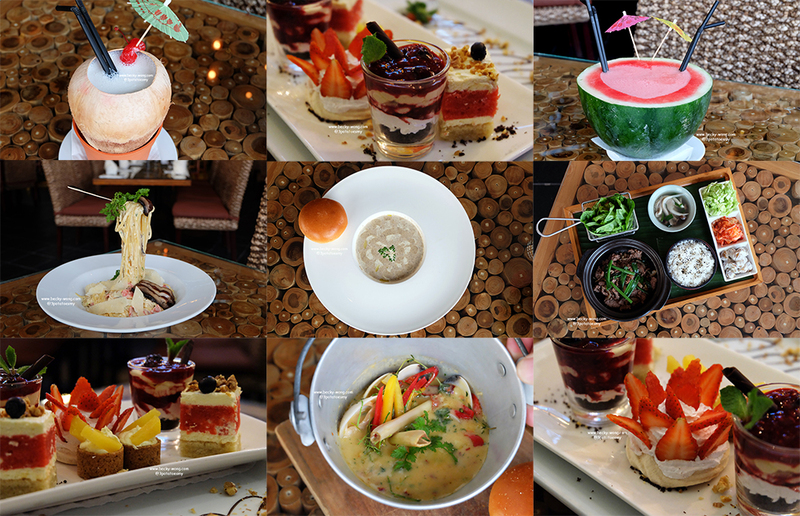 To know more updates about Signature by the Hill @ The Roof, check out their Website and Facebook.